Cardas economy cartridge clips, available in Gold or Rhodium plated brass. These clips make an excellent contact and are a great upgrade on stock Pro-Ject and Rega arms. This is a nice upgrade for Rega or ProJect arms. Cardas arm rewire is known for its good results. 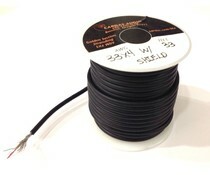 Consist of 4 litz wires 33 AWG. Alao available: Cardas Cartridge Clips in gold, silver or Rhodium plated Brass. Price is per cm! Groundwire belonging to the Cardas tonearm wires. 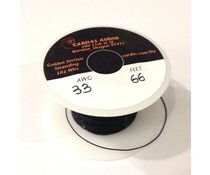 Cardas arm wire is known for its good results. 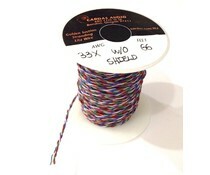 Consist of 1 litz wire 33 AWG. 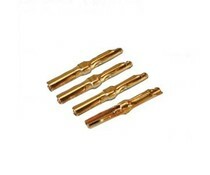 Also available: Cardas Cartridge Clips in gold, silver or Rhodium plated Brass. Price is per cm!